Only a handful things are better than having a tasty steak or barbecue ribs on a pleasant evening, especially if you’re a true meat lover. Meat lovers travel the world in search for the best dishes made from meat. Both traditional recipes and modern dishes made of the finest meat are equally incredible to sample. The meat central of the world, however, is the United States. For years, cities in the US become home of the best steak, burger, and other meat-based restaurants in the world. If you’re traveling to the United States as a meat lover, here are some of the best cities you want to visit. Texas is secretly the center of smoking and grilling meat. It may not be as popular as other cities, but the restaurants you can find in Texas – and the meat dishes they serve – are nothing short of magical. For the best smoked beef and barbecue ribs, however, you want to head to Fort Worth. Even experts dubbed this city the Cowtown. Bonnell’s Fine Texas Cuisine is one of the restaurants to add to your itinerary the next time you visit Fort Worth. It is run by Jon Bonnell, a name every meat lover is familiar with. Nearby, you can also find places like Western Bistro and the famous White Elephant Saloon, both of which serve mean beef cuisines. Time your visit to Texas correctly, and you can also sample one of the best events for meat lovers: The Meat Fight. It was first started in 2012 and has since became an annual event. The best chefs in the world have properties in Las Vegas, so it is no surprise that the city is filled with great steak houses and restaurants that serve amazing meat dishes. Even better, there are many meat buffets – even 24-hour buffets – and most – if not all – of them are well worth the sub-$10 price. Of course, the celebrity chef restaurants are the main attraction in Las Vegas. You will have the opportunity to try Anthony’s Prime Steak & Seafood dishes and the Country Club. If you are keen on trying to replicate the tastes back home, it might be worth researching the Best Electric Smoker 2018. If you haven’t tried an original, home-made Philly steak, then your life as a meat lover isn’t complete. Philly steak is a dish that combines smooth and well-smoked protein with cheese and bread to create an incredible meal. Also known as a cheesesteak, a Philly steak is quite large; enough to make you feel satisfied to the core. Of course, we have places like Geno’s Steak serving the best Philly steaks in the world. Pork lovers would also want to try scrapple, another special dish from Philadelphia made from pork meat. It is sweet and relatively light due to cornmeal and flour adding extra texture to the meat itself. We can keep going with more cities with great meat dishes, but these are the ones you want to visit first if you are a meat lover. Prepare for some unforgettable meals as you explore these cities and their finest restaurants. Planning your next trip to Asia? Be not be discouraged by the talk that Asia is a conservative continent. You can still quench your thirst for gaming even if you find yourself in the supposedly ‘conservative’ continent as there are dozens of destinations that offer the best when it comes to gaming facilities and the games on offer, the game selection you will find here equate to the game selection available at huge online casinos such as NetBet Live. The following are some of the top gaming destinations in Asia. 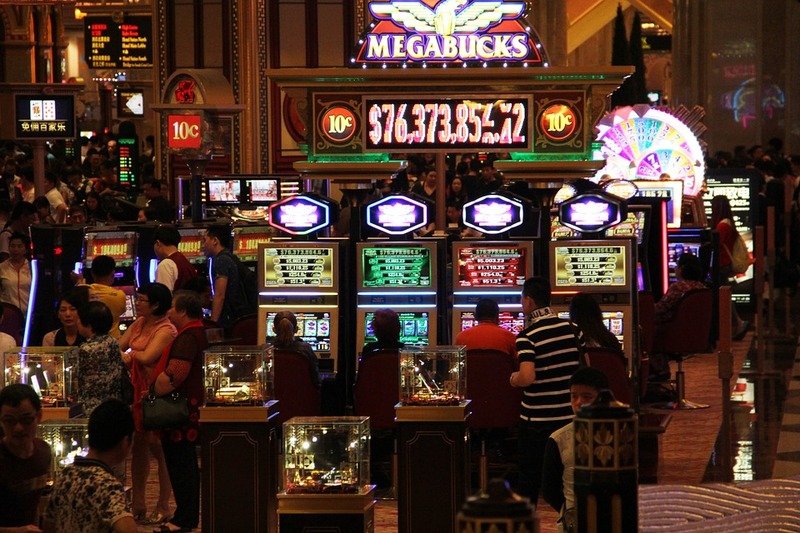 Macau is a small country in Asia that has risen largely due to its gaming industry. The economy of Macau is based on the success of the gaming industry, even the country’s tourism figures are all inspired by the country’s magnificent casino resorts. As the country base its survival on gaming, it’s no surprise that it recently surpassed the revenue figures generated by Las Vegas. In Macau, there are games for everyone, from the classics such as Fan-tan to modern day’s Texas hold-em. There are a number of great casino resorts in Macau with arguably the most impressive being the Casino Lisboa. The casino was officially opened in 1970, the same year that the Stanley Ho Hotel was opened. Casino Lisboa and the Stanley Ho Hotel are connected to each other by a footbridge. The Galaxy Macau casino comes a close second but in general, all the casinos in Macau (over 30) are simply majestic. Visitors who love gaming do not leave out Singapore even though it only has two casinos. However, the lure of these two casinos lies in the sheer scale of each of the casinos. The Marina Bay Sands Resort is simply stunning more so if you catch a glimpse of it at night from a distance or from an aerial view. The resort has three standing towers that illuminate the country at night with glowing colours. There are innumerable designer boutiques in addition to a nightclub, restaurants, an ice rink and a canal that runs through all the boutiques. Resorts World Sentosa is the other casino and it is equally impressive as the Marina Bay Sands Resort. The one thing which separates it with other casinos is the Universal Studios theme park, the first of its kind in Asia. If someone can ask you to name one similarity between South Korea and the Principality of Monaco, what would you say? Probably a lot of interesting answers have come up but the one similarity is that South Korea like Monaco forbids its citizens from using the country’s casinos. However, if you are a foreigner, you can enjoy the many beautiful casino resorts South Korea has to offer, most of which are found in the capital, Seoul. The Paradise Casino Walker Hill is arguably the most popular among tourists, a modern casino with state of the art facilities. The casino overlooks the Han River and offers a great viewing spectacle for visitors. If you want a more quiet and peaceful environment, the island of Jeju-do offers a more peaceful environment. There are several casinos on the island including the Kangwon Casino, the only casino where foreigners are permitted to use. When you think of romantic destinations in the United States, the city of Branson, MO isn’t usually quick to pop into mind, but it’s time to re-think your feelings. Did you know that Branson can act as that perfect getaway for couples who are looking to escape the crowds of a large city and enjoy a little romance? Branson has a number of hidden gems to discover with that all-important romantic touch to them. With that in mind, here’s a list of romantic things to do in Branson, MO, and be prepared because some of them may surprise you. There’s just something so romantic and mysterious about train travel, especially when it takes place on a classic train straight out of the 1930s-1960s. That is exactly the experience you’ll be treated to with the Branson Scenic Railway that travels through the stunning, and romantic, Ozark Mountains. This is a guided tour, so you’ll be able to learn about the area as you travel through it. Besides the mountain views, you’ll also get to take in bridges that are a century old, ghost towns, and maybe even spot some wildlife along the way. There are three bubble-top cars which provide passengers with an even more spectacular view. This tour is open year-round, so obviously you’ll have a different experience depending on which season you visit. For that added dose of romance, you can book the Saturday night dinner train, which offers a mouth-watering four-course dinner that is enjoyed by candlelight. Perhaps you define romance by enjoying quiet time with one another, away from everyone else. If that’s the case then the quiet solitude of Table Rock Lake is perfect. You can enjoy fishing on the lake, which also happens to be free, allowing you to enjoy that all-important one-on-one time. Expect to catch white bass, spotted bass, largemouth bass, channel cat, crappie, panfish, and bream here. If you define romance as engaging in a fun activity together where you get to share some laughs, then Silver Dollar City is a must-visit. This theme park has a unique feel to it as it is meant to feel as though you’ve stepped back in time to the 1880s. It offers rides and attractions galore, festivals that take place throughout the year, shows, dining, and even the Marvel Cave for exploring. For those who are animal lovers, a visit to the Promise Land Zoo will fill your day with cute moments shared together. What makes this zoo so unique is that it offers up-close animal encounters, walking, and driving trails. This is just a small look at what Branson has to offer for couples looking for romantic activities. Also worth visiting are the Butterfly Palace and Rainforest Adventure, the Titanic Museum, and Presley’s Theatre. Romance is definitely in the air here in Branson, MO. Every country and culture on Earth has something unique to offer the world. Each place and peoples are interesting in their own way, but Peru is one of those places which manages to stand out as being just a little bit more unique than most other places. The country, while small, is home to a number of beautiful natural and man-made sights that just need to be seen and experienced first-hand. There are a number of reasons why Peru is such a fantastic holiday destination. Whether you are looking for somewhere to visit, a culture that you can absorb and experience relatively quickly, or you are looking for somewhere to make your home for a while, Peru can fit the bill. Here are just some of the reasons why you should consider making Peru your next travel destination. Peru is home to the famous ruined temple of Machu Picchu. This world-renowned heritage site is a thing of beauty, something that no one who experiences its majesty up close can soon forget. However, Machu Picchu is just one of the many beautiful and mysterious ancient ruins in the country, as the country is overflowing with sights of historical interest. Whether you visit one of the many, well-curated museums, or you travel to see these sites first hand, you will find no end of experiences in Peru that satisfy the history lover within you. For suggestions of where else to visit in Peru, check out this guide from tourist2traveler.com. When we talk about the merits of visiting other countries, we all too often focus on the landscape, the ruins, and the history. We don’t often talk about the people themselves, and how are we to define nations if not by the people that comprise them? Peruvians are an interesting people and meeting them is a joyous experience. Many of the people who live in Peru today can trace their ancestry directly to their Inca ancestors. As a result, the Quechua culture, which plays an important role in Peru’s history, is still alive and well today. Peruvians are known for being hard workers, extremely polite, quiet, and peaceful. They are engaging and helpful to outsiders, and they are all too happy to satisfy the curiosity of visitors to their country. A high percentage of the population of Peru have never, and will never, leave the country. This has led to a culture which is very much inward-looking and has remained resilient to outside influences. Visit any town in Peru and you will be met with a dizzying array of hand-produced textiles in a kaleidoscope of colors. It is through their handcrafts that visitors to Peru will have their best, and perhaps most authentic experience of the country’s culture and art. As well as the textiles for which they are famed, Peruvians also produce exquisite examples of instruments, wood carvings, canvas paintings, and jewelry. Peru is a country with a unique history and culture, the Peruvian people are among some of the friendliest and most engaging in the world. Taken together, this makes visiting Peru an unforgettable, and unbeatable, experience. With a population of just over 121,000 people, Berkeley, California is large enough to have plenty to offer residents and visitors alike and small enough not to feel overwhelming. The city also has a rich history that makes it an interesting place to visit. As the home of the 1960’s counter-culture and “free speech” movements, the thought of Berkeley often conjures up thoughts of tie-dye shirts and protests. But there is so much to the community. Find some great examples below. The museum is closed Monday and Tuesday, open from 11:00 a.m. to 7:00 p.m. Saturday and Sunday, and 11:00 a.m. to 9:00 p.m. Monday to Wednesday. Horseracing fans won’t want to miss the opportunity to visit Golden Gate Fields while in Berkeley. Located right along the San Francisco Bay, the racetrack hosts events several times per week during every month of the year. El Camino Real Derby Day, San Francisco Mile Day, and the Kentucky Derby Party are just three of the upcoming events in early 2018. Not a place but a street, Telegraph Avenue is the epicenter of student life in Berkeley. It’s crowded with everything from buskers, panhandlers, and vendors to people trying to squeeze their way through to do some shopping. Some of the merchandise that a visitor to Telegraph Avenue might pick up include self-published tracts, bumper stickers, crystals, and unique clothing. The good news for travelers is that the restaurants on this street cater to a budget-conscious student population. This 34-acre botanical garden contains more than 13,000 species of plants, which gardeners have organized into the region of the world where they originated. The UC Botanical Garden also has dozens of plant species native to California, a Chinese medicinal herb garden, and a conservatory full of tropical plants. The botanical garden is open every day except for major holidays and the first Tuesday of each month. 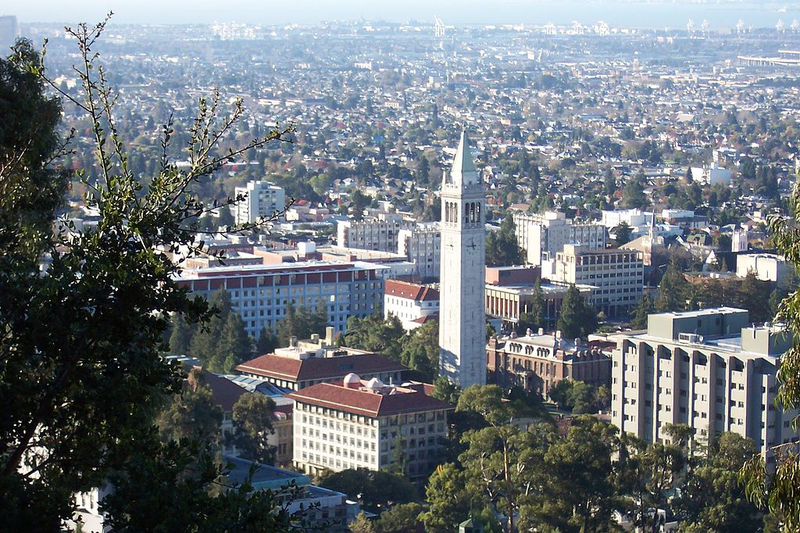 Berkeley is the home of University of California at Berkeley, the nation’s top-rated public university. As Fast Haul, a Berkeley junk hauling company, points out, over 38,000 of Berkeley’s residents are college students. Political issues often come to a head among in Berkeley thanks to the passionate people and college students of the community. Those planning a trip to Berkeley can even include a trip to the scenic and historic campus on their list. The college offers free public walking tours every day starting at 10 a.m. The above represent just five of the dozens of attractions available to people traveling to Berkeley, California. The locals are sure to offer suggestions for several more must-see places to visit.